Here are six Bible verses about the rapture. Part of the reason the Apostle Paul was writing to the church at Thessalonica was to reassure them that those who have died in the faith won’t miss the kingdom because their bodies will rise and be joined with their spirits who are now with the Lord. The dead will rise at the Lord’s appearance and not miss out on eternal life, and so Paul writes, I “do not want you to be uninformed, brothers, about those who are asleep, that you may not grieve as others do who have no hope” (1 Thess 4:13). Those who have no hope, cannot hope for the resurrection unto eternal life. Their hope is lost after death if they’ve never repented and trusted in Christ (Heb 9:27), but Jesus says “I am the resurrection and the life. Whoever believes in me, though he die, yet shall he live, and everyone who lives and believes in me shall never die. Do you believe this” (John 11:25-26)? I hope you answered yes, you do believe. Daniel 12 mentions a resurrection of the dead where he writes that “there shall be a time of trouble, such as never has been since there was a nation till that time. But at that time your people shall be delivered, everyone whose name shall be found written in the book. And many of those who sleep in the dust of the earth shall awake, some to everlasting life, and some to shame and everlasting contempt. And those who are wise shall shine like the brightness of the sky above; and those who turn many to righteousness, like the stars forever and ever” (Dan 12:1b-3). Paul does tell us that the dead rise first so we know that there is order to it. This verse doesn’t appear to be talking about those who were dead or the resurrection of the dead that we read about in the Old and New Testament. This is a special group. They are those who are alive when Christ returns and we meet with Him in the clouds but not just the clouds of heaven. Being caught up and brought into the clouds could mean the Shekinah glory clouds? If we are caught up in the air, but then the New Jerusalem will be coming down from heaven, (Rev 21:1-2), are we to be caught up to the New Jerusalem only to come down again? I don’t really know. I do know that those of us who are alive at Christ’s return will be with Him forever. That’s more than enough for me. Is this the same trumpet that Paul wrote about in 1st Thessalonians (1 Thess 4)? It still gives the right order where Paul writes that “the dead will be raise imperishable” and then “we shall be changed.” He does say “We shall not all sleep, but we shall all be changed” (1 Cor 15:51) and almost instantly. By Paul’s reference “we shall not all sleep” means some of us will be alive when Christ returns. Sleep is understood in the context of 1st Corinthians 15 to mean dead. Either way, when Jesus returns, He will gather up those who are His own that are still alive at His return but we’ll not precede those who are raised first and presented to the Lord (1 Thess 4:15) because to be absent from the body is to be in the presence of the Lord (2 Cor 5:8). This is all that matters to the believer, either dead or alive; to be in the presence of the Lord because any place where Jesus is at is heaven to me. We all have differences of opinion on the rapture just like we do the tribulation and the time of the rapture or whether there’s a rapture at all but that doesn’t mean we divide over things that are not essential to our salvation and our commands from God. Instead of focusing on the rapture, let us focus on Christ or we’ll sink like Peter did in the stormy seas because he took His eyes off Christ. May we all be ready for His return at any given moment, or as the Apostle John wrote, “so that when he appears we may have confidence and not shrink from him in shame at his coming” (1 John 2:28). Something more to read about the rapture: What is the Rapture? Thank you pastor Jack. We as Christians, ought to help each other, to be ready for the rapture. You are doing your part, and I appreciate that greatly! I love the way you refocus our attention onto Jesus Christ. Then, no matter what happens, we are safe. God bless you brother. Amen…I trust in Christ more than prophecy. Thanks brother. You got it! May God richly bless you my brother for your encouragement. Yes there is a rapture but it was not explained here when it will take place. Is it pretrib, midtrib or postrib? The article on the rapture was true, however I found the New Jerusalem comment not actually correct. where those resurrected meet Christ in the air. John sees a new Jerusalem coming down, but it’s after the 1000 years with Christ chapter 20. where it says about those resurrected first. The new Jerusalem does come down after the thousand years, this is “that war” when Satan is let loose once more for a little while. He attacks the New Jerusalem before God destroys them all. Thank you for your kindness. This has been corrected. We appreciate your comment and help. The bible it doesnt teach that. .the bible is so clear in passages that, The dead rise on the LAST DAY. Thus it does not teach a pre trib rapture but after the tribulation … i could be wrong but that what i gather from scripture. 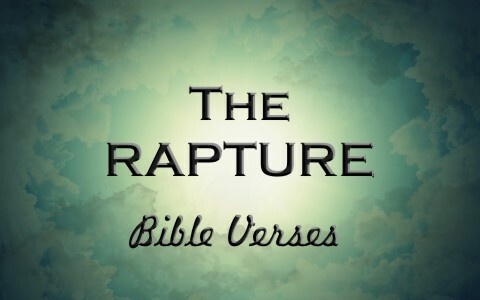 I would only say be careful on the verses you use to represent the rapture. For instance Matthew 24:30-31 is not speaking of the rapture but is speaking of the 2nd coming. Two different events. In Matthew it is when Jesus returns to reign for the thousand years. They will see him coming on a cloud. Some verses talk about a grand display of lightning and such on the 2nd coming. He also sends the angels out to gather the elect (The Jews who had to endure through the end times I believe this is). In Revelations and other places when it speaks of the Rapture it happens in the twinkling of an eye. SO fast that you cant see it happen. It speaks of how people will be there and then one is there and the other is gone. It also has Jesus on the cloud and He reaps the good harvest. Jesus Himself will call us up. Not the angels. The Bible would never say Jesus does it in one passage and the angels do it in another. So these are absolutely two different events. The rapture is an end times concept of certain Christians, particularly within branches of North American evangelicalism, consisting of an end time event when all Christian believers who are alive will rise along with the resurrected dead believers into Heaven and join Christ. The Great Tribulation is another endtimes event and is a period mentioned by Jesus in the Olivet Discourse as a sign that would occur in the time of the end. At Revelation 7:14, “the Great Tribulation” is used to indicate the period spoken of by Jesus. (see Matt 24 & 25). The millennuim is a period of a thousand years, especially when calculated from the traditional date of the birth of Christ. Hello friend. I am in agreement with you on this. This is for those who do believe in the Rapture, but either way, we know He is coming again. Thank you for your comment. Previous post: What Is The Biblical Definition Of Adultery?